Juliette is made with a 100 % cotton liberty fabric. 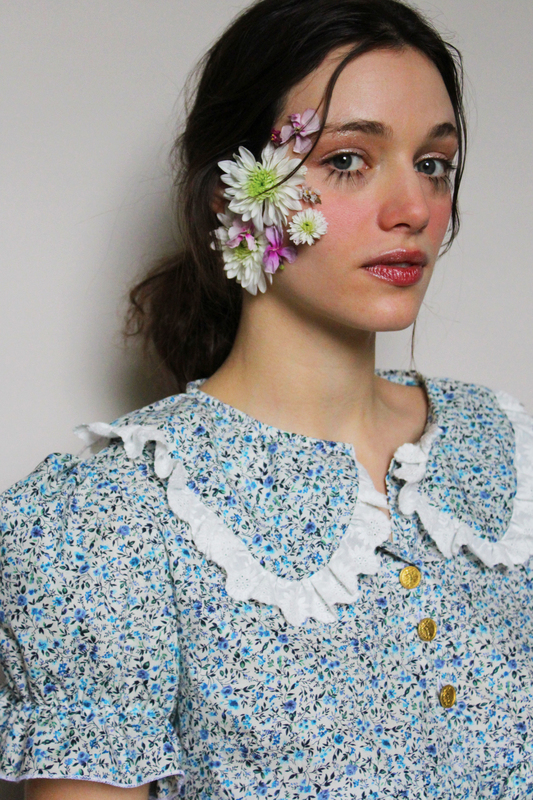 Round collar finished by a embroidered flowers cotton. Closure with 3 buttons in the front. 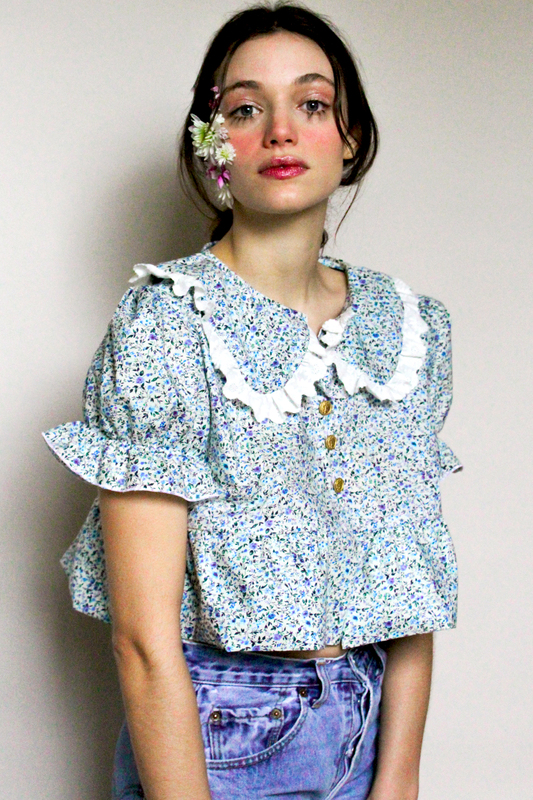 Juliette is a 100 % cotton blouse. 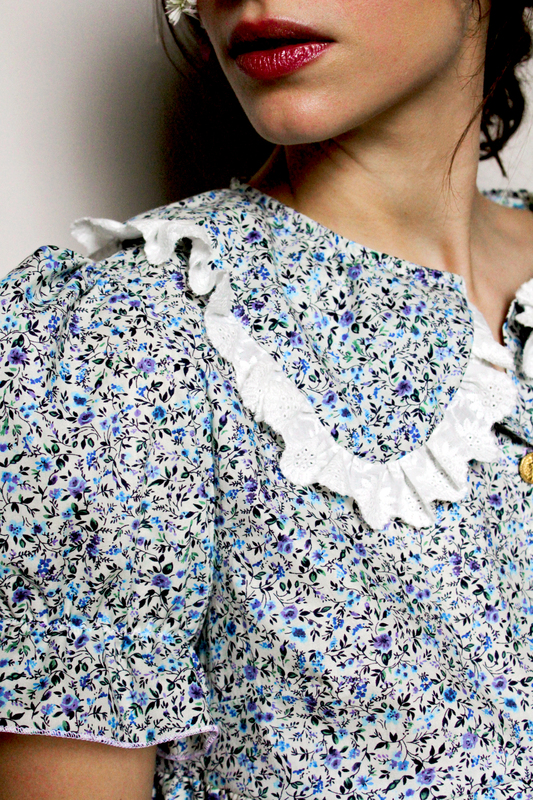 This blouse prefers a machine wash at 30° in delicate mode. Low rotation. Dry on a hanger . Wash alone. Soft ironing.